Every one celebrates the birthday every year. If you are inviting lot of guests for your kid’s birthday, you need to prepare or buy a best birthday cake to satisfy everyone in the birthday party with a delicious taste. The birthday cakes had been in our lives since the Ancient Roman days. It is logical to celebrate the birth day of your child with a well decorated birthday cake. On top of the cake candles are put and lit. If your kid is 12 years old, 12 candles are put on the decorated cake. The boy is asked to cut the cake and give a piece of that cake. You will first give it to the kid and the cake pieces are distributed to friends and relatives. Of course, a big birth day party follows. If your loving girl or boy likes sports, you can order a sports themed cake for the birthday party. The cake can be decorated on the periphery with colored ball type sweets. The center of the cake can be in the shape of a football or cricket ground with green colored sweet. It is yummy and delights everyone in the birthday party. If your kid loves watching TV, films or cartoon characters, you can order a cartoon or film theme based cakes. The local bakery can also make the birthday cakes with comic characters, and dolls etc. It is eye catching and makes your kids very happy and delighted on the birthday. If your kids love images and pictures, it is better to order a yummy cake decorated with the best picture theme. The images on the cake could be parrots, dolls, phones and balls etc. It is sure to delight your kids. You can also make a cake for the birthday with an animal based theme. You can ask the bakery to prepare a cake with animals like small rabbits, squirrels, and teddy bear etc. The cake can be decorated with fruits like pine apples, pomegranates and apples to make it more delicious and yummy and colorful. You can also book your order to send cakes at the given address. 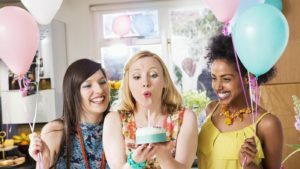 How to prepare delicious and yummy birthday cakes at home? You can make an inexpensive marble cake at your home. Main ingredients for this recipe are ¼ cups of softened butter, five large eggs, two cups of sugar, 4 ounces of sweet chocolate, 2 ¼ cups of flour, and three tea spoons full of vanilla extract. You need to melt the chocolate on top of a boiler and add 3 spoons of butter. Stir the blend until it is smooth. Now, allow the blend to cool.